Norfolk Island is situated approximately 1000 kilometres east of the Australian coast, 1670kms ENE of Sydney, 1065kms NNW of Auckland and 772kms SE of Noumea. Norfolk Island is serviced by Air New Zealand. The Air New Zealand flights operate every Wednesday and Sunday. Flights direct to the Island from Sydney or Brisbane take approximately 2 1/2 hours. The Air New Zealand journey takes just 1 1/2 hours from Auckland or 2 1/2 hours from Christchurch. The trip from Melbourne or Adelaide requires a change of planes in Sydney, so it normally takes about 4 hours. From Perth, it's somewhat longer and some travellers like to take a stopover in Sydney. Remember that Norfolk is not a Territory of Australia, but simply a territory under its control, so flights leave from the International Terminal and a passport is required. 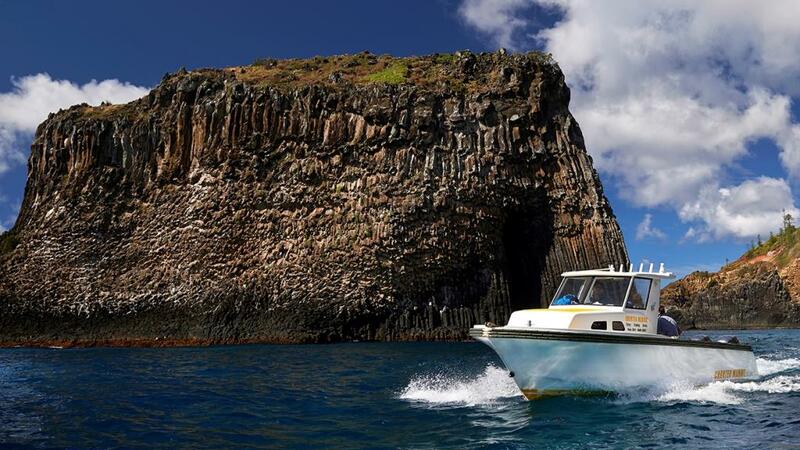 There are infrequent cruise ships and sailing vessels travelling to Norfolk Island. A freight shipping line leaves from New Zealand and Australia and takes between 2 and 5 days to get to Norfolk.